Once again J. Crew hits it out of the park. But at this point, are we even surprised? I'm starting to think I need to get a job in one of their retail stores to get an employee discount. But then I fear I would probably spend my whole paycheck on clothes. They just released some of their new Fall pieces and my cart is already full. Okay this may be my absolute favorite. I don't have any formal events coming up anytime soon but I think I may need to get it just in case one pops up, ya know?! If I were back in high school again, this is what I would wear to prom. STUNNING. 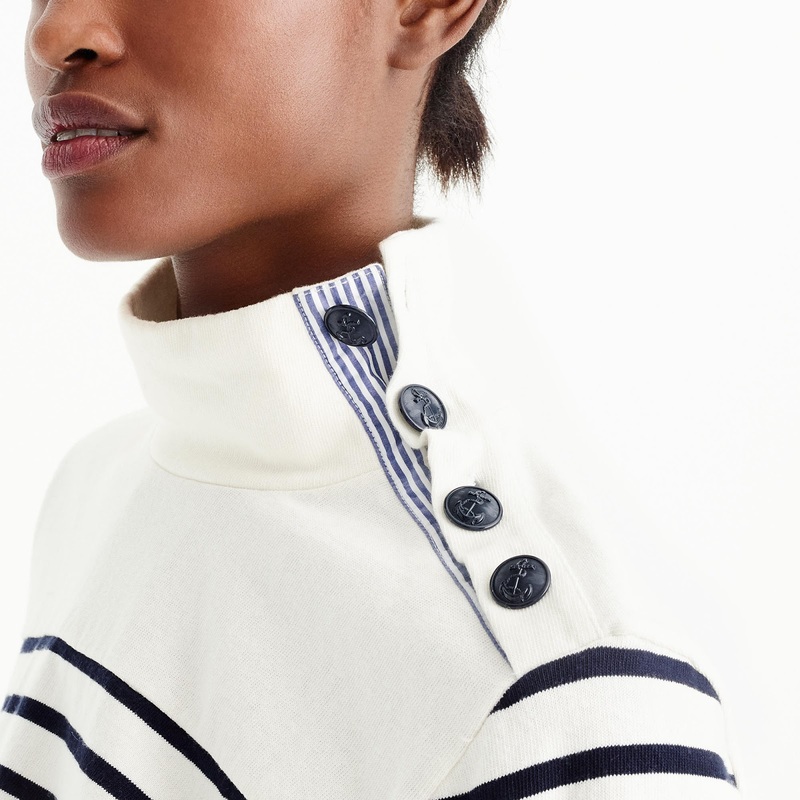 I mean really, can you ever go wrong with a bow on the back of a sweater? I think not. I think this is exactly what I need to make me excited for Fall. Those details though!! It doesn't get super cold in Savannah but on crisp Fall and Winter mornings, I think this would be perfect with jeans. 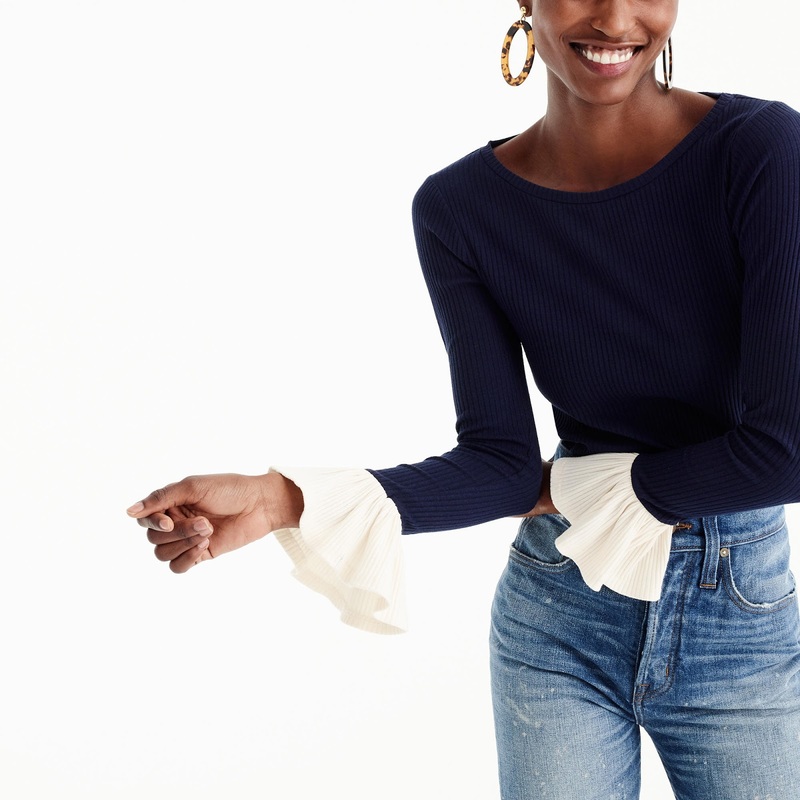 I think bell sleeves are going to be really in this fall. 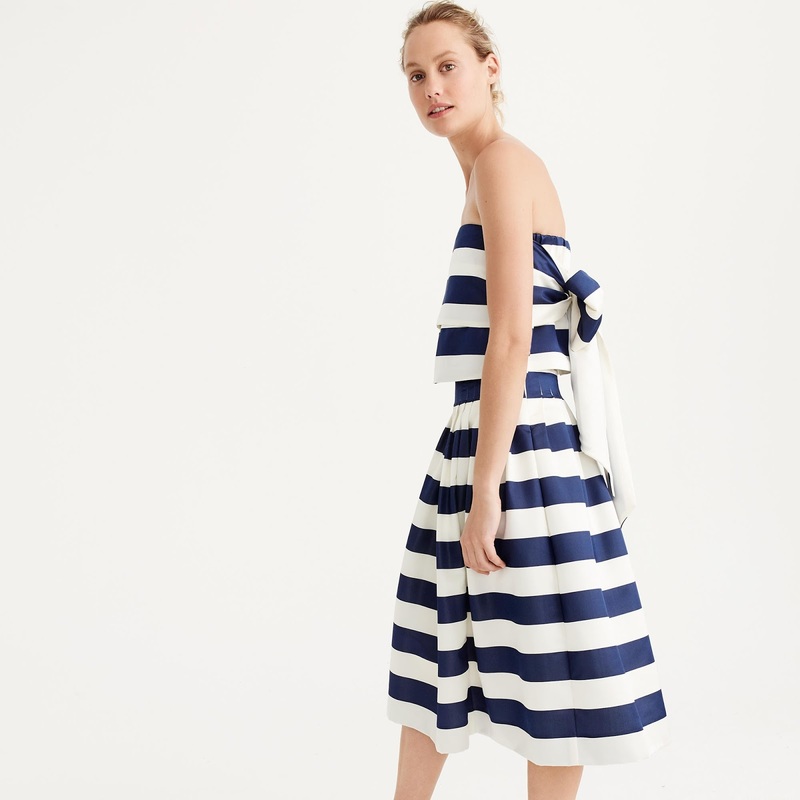 And you know I can't resist anything navy and white, so basically it's a no brainer. 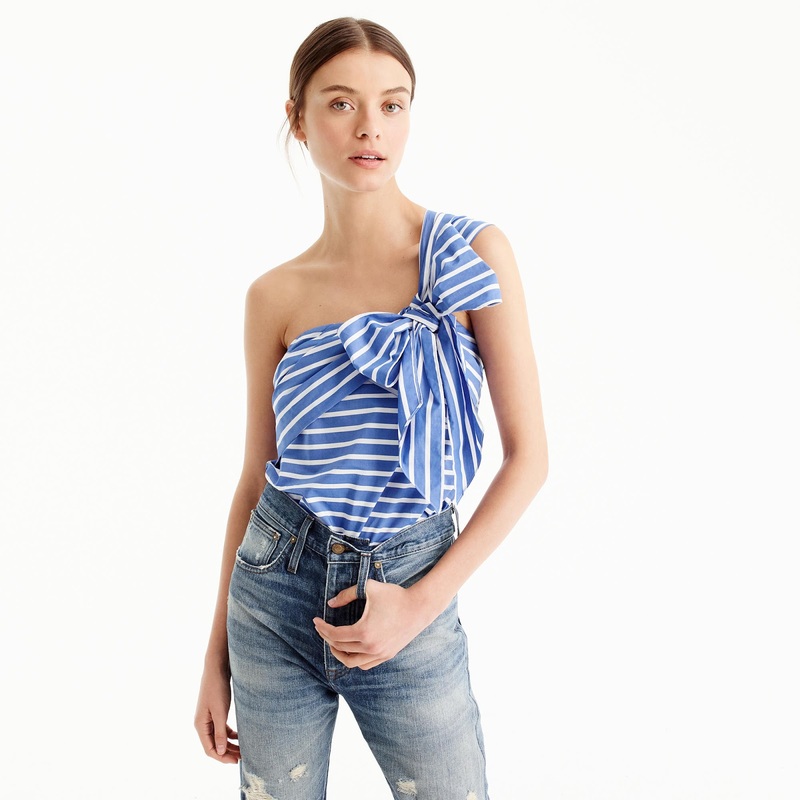 The ruffle, the gingham, one-shoulder....irresistible. If I designed my ideal pair of shorts, this would be it. Navy and white stripes and a bow, they scream me. While I don't think this is very Fall-y, I still think it's adorable. I just think this skirt could be perfect for so many occasions. Dressy enough for work but casual enough for a backyard barbeque. I love the blush color (plus the bows of course). I think I need this for my future work wardrobe.